Both the QV and QVO have the same action. The QVO with its O-ring seal is designed for hot, crusting liquids and abusive environments where the QV’s metal-to-metal seat may be damaged. 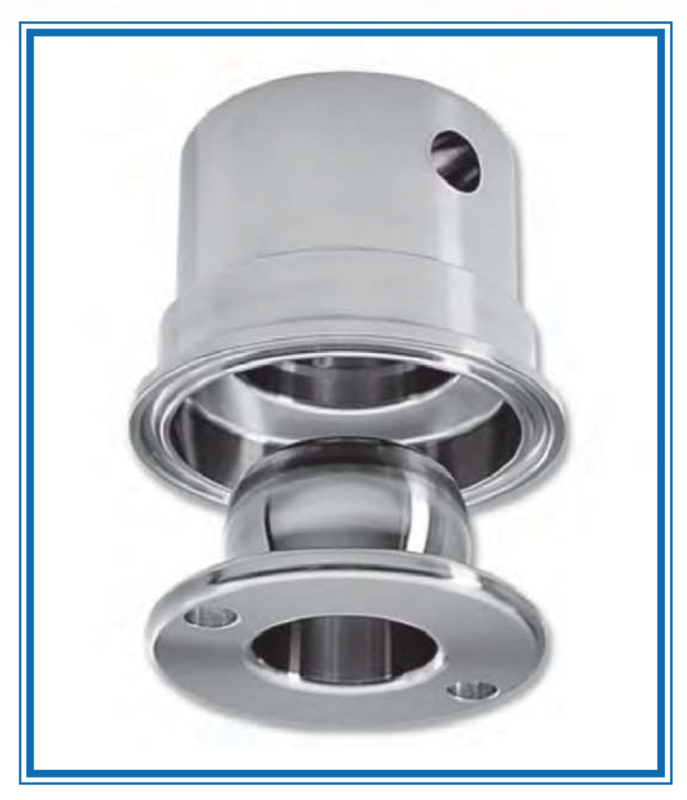 These valves work reliably when used in milk processing lines. Milk fats serve as lubricants for the valves. For products not containing natural lubricants, approved lubricants may be used. 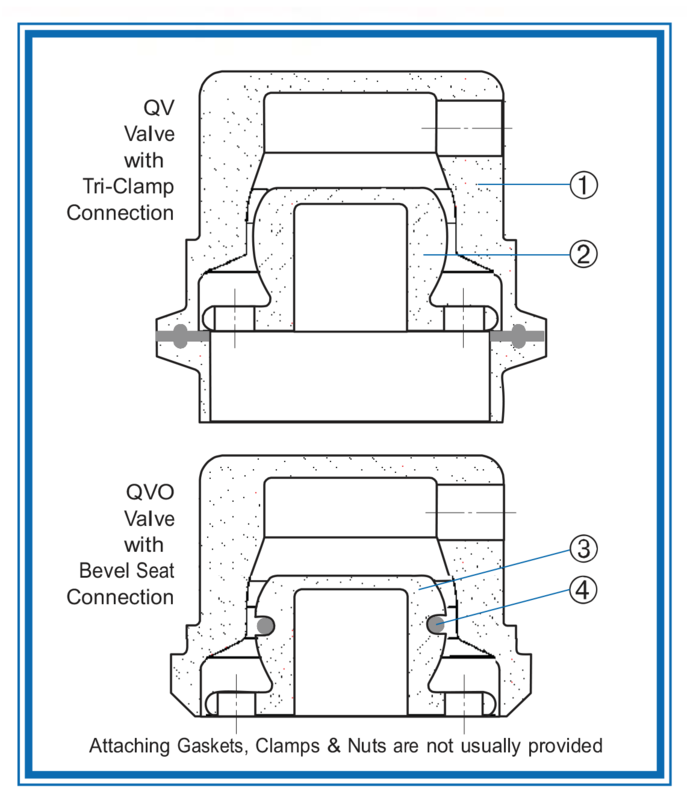 If using a QVO valve, try teflon coated Buna-N or Viton O-rings. Line Size 1 1/2" 2" 2 1/2"
Valve Height 1-11/16" 1 - 7/8" 1 - 7/8"
Q-Seat Diameter 3/4" 1-1/4" 1-1/4"
Orifice Diameter - Equiv. Net Air Flow 3/16" 11/32" 11/32"